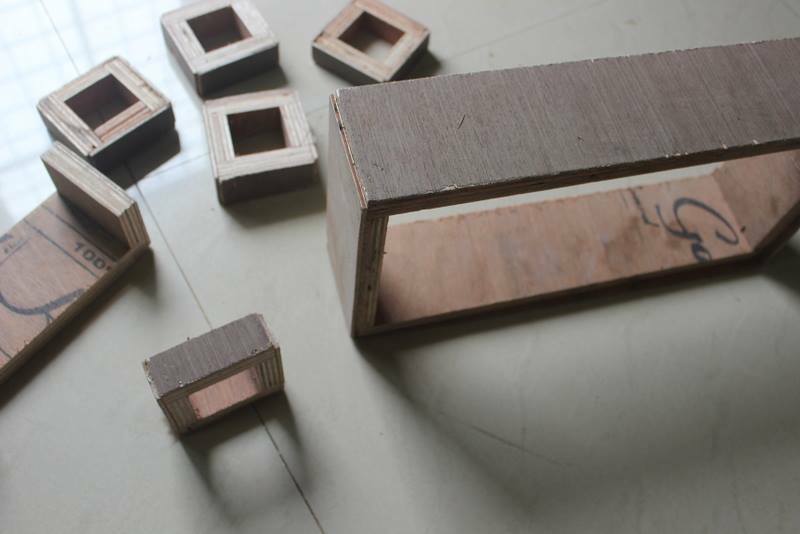 Few months ago, after doing some interior works at home, I had got these wood pieces as leftovers. Initially I planned to do it myself with the help of tutorials from Woodooz, but then, patience and I never gel together. The big piece was the leftover after they cut a wood paneling horizontally. The small pieces are the left over of the long posts which is quite common these days in many houses. 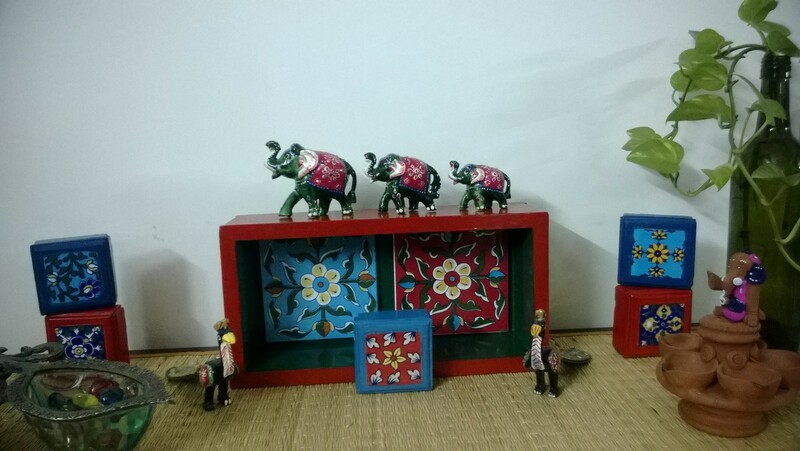 So with the help of The Spinning Wheel, a store near Whitefield, the wood pieces got a makeover. They sanded, painted, fixed wood on the back of on the big rectangular piece, and fixed the Rajasthani tiles. The idea was to create a wall art, but I haven’t yet jumped into being the drillman to install it on wall. Here is how they look for now. They are currently placed above the shoerack, so that I could take a picture and upload it here on request. I am not satisfied with this arrangement, and may either take them back to the cupboard till I find a more satisfying solution. Any other ideas of how to use them?? wow, such a great idea. Looks really pretty. I have lots of bits and pieces of wood too, should try something like this. yup..you can message Rakhi of Spinning Wheel showing the pieces for getting suggestions..
Wow! That’s a awesome use of leftover wood. Loved all the pieces!